Business today is truly global. To prepare our students to achieve success in the ever-evolving world economy, we have launched a far-reaching initiative to expose business students to the culture, history, politics, and economy of East Asia. 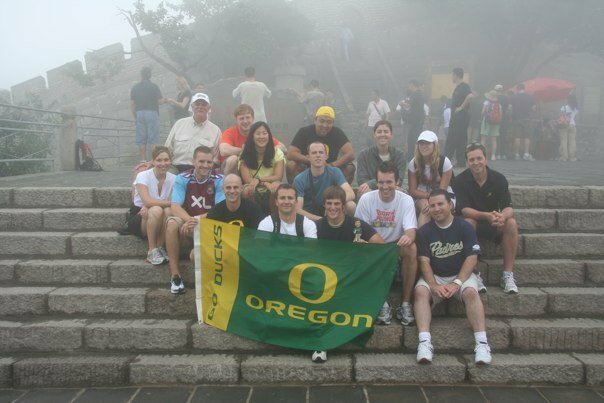 Each September, shortly before the start of their second year in the program, MBA students from all four centers have the opportunity to experience Asia first hand by visiting such cities as Shanghai, Singapore, and Beijing through the school's Engaging Asia study tour. And students have the opportunity to learn from prominent area experts in the spring term prior to embarking on the thirteen or fourteen day tour. Along with unforgettable cultural experiences like visiting the Great Wall of China, students tour companies and factories, participate in marketing events, attend lectures given by executives at leading firms, and network with top executives. Curious to discover more about this trip of a lifetime? Get the scoop from the students themselves--and check out some inspiring photos--in these blog entries from the most recent trip.